Wedding bouquet construction, complete floral wedding details, latest wedding trends. Online short courses with award winning florists, video lessons and one on one mentoring. Proven, successful corporate designing for any budget or event as lessons and inspiration. 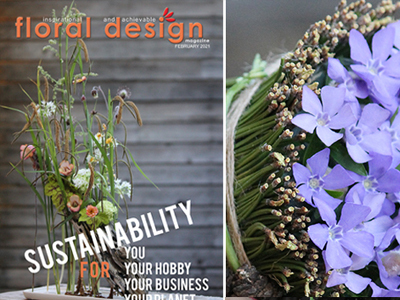 Accelerate your business: Discover what other florists are doing which makes them successful. 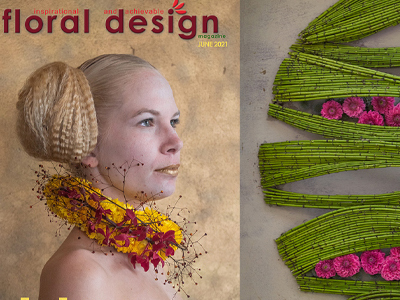 Stream video lessons:exciting emerging floral design trends, techniques and styles worldwide. Video, online magazine, short course, one off or monthly: All of them or just one, you choose. 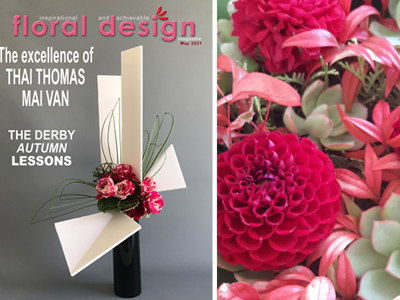 Follow the competitions, spot current trends first with award winning flower arrangers. 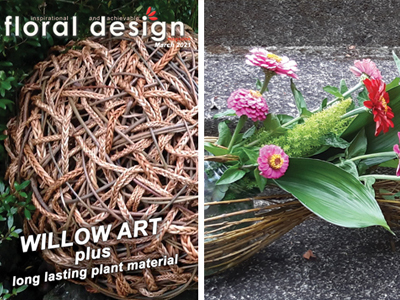 Flowers and craft come together with great design, for a whole new world of arranging possibilities. Christmas arrangements never date but keep them contemporary and interesting with these resources . "Thank you for the fine magazine and congratulations on maintaining such high standards with designers from all over the world." "Great work again! As usual I love it!" "I was delighted to receive the latest edition tonight"
BE ON TREND WITH THIS EDITION. Join many successful florists, the most creative demonstrators and the finest innovators to further your own flower arranging skills, learn new floristry methods and introduce exciting new floral design styles. 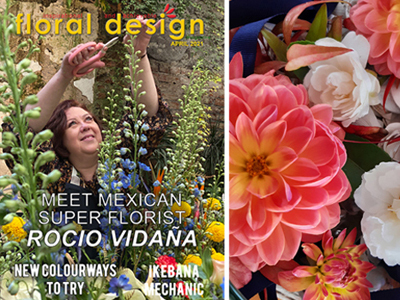 Find out how to get involved in exclusive online floristry courses with a world-class curriculum and knowledgeable floristry professionals as teachers that meet the needs of floral designers at every stage of development.